Steel Skill’s specially designed Mobile Commercial Bars are just what you need for your catering business. With its unique mobile feature, this bar can be relocated with ease, inside or outside, making it an essential item for any event or function. Whether you’re catering for a wedding, or just a party, we’ve got you covered. 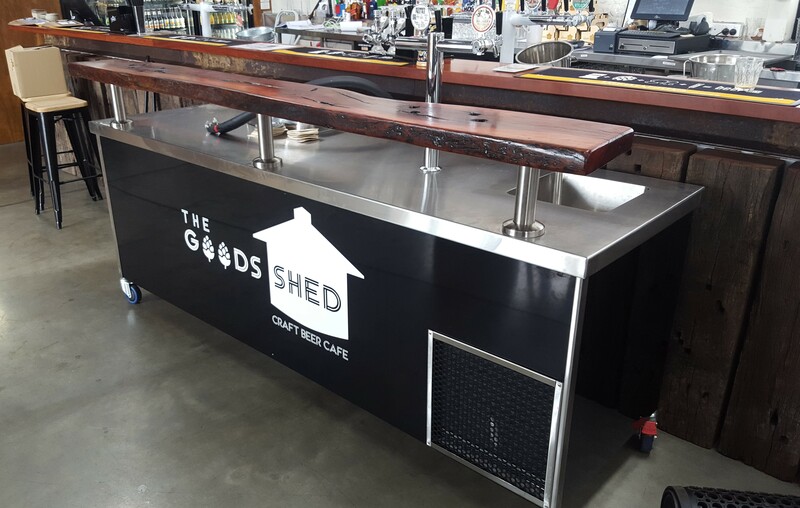 It has a stainless steel workable bar with a full stainless steel frame under to support the glycol and keg system, with front cladding in aluminium powdercoated colour or design to suit. Contact us now on (02) 6056 1944 to discuss how you can get your custom-made and designed Mobile Commercial Bar.